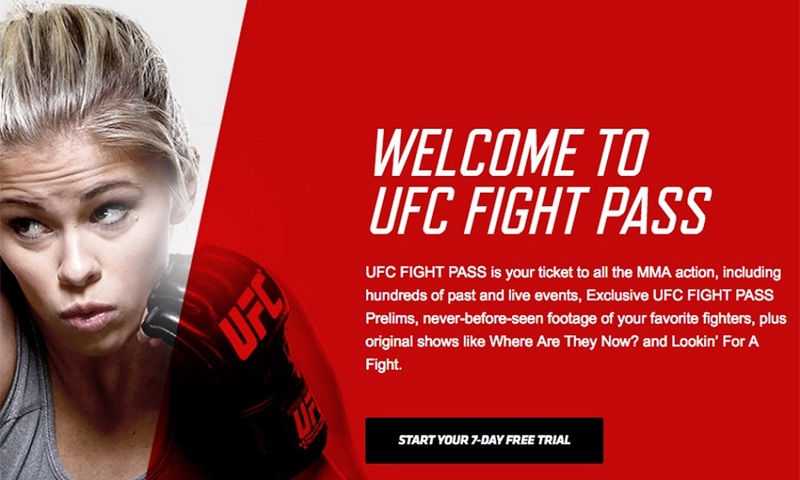 The Ultimate Fighting Championship began their subscription based streaming service, UFC Fight Pass, back in December 2013 with nothing more than a library of past fights hosted by both the organization and its subsidiary promotions. Fast forward several years later and UFC Fight Pass is your ticket to all the MMA action, including hundreds of past and live events, Exclusive UFC FIGHT PASS Preliminary bouts, never-before-seen footage of your favorite fighters, plus original shows like Where Are They Now? and Lookin’ For A Fight. There are about a dozen mixed martial arts promotions that currently hold live events through the UFC Fight Pass platform, with more on the way. Canadian based TKO MMA was the most recent organization to be announced to the service until today when it was announced that Alaska Fighting Championship had also inked a deal. They will hold their first UFC Fight Pass based event on Friday, November 4. 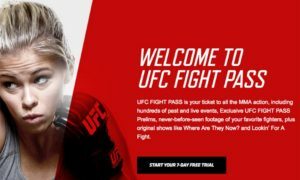 Let’s take a look at the Top Five Promotions that Currently Promote Live Content via UFC Pass which are available via personal computers, Xbox 360, Xbox One, Amazon Fire TV, iPhone, iPad, Apple TV, Android, Chromecast, Samsung Smart TV, LG Smart TV and Roku devices. Titan Fighting Championship began sharing their content via UFC Fight Pass back in July of 2015. The organization which was originally founded in 2005 and held events in and around Kansas City is now based out of Florida and operated by Jeff Aronson. Titan FC began a more than year-long venture with CBS Sports in January 2014 before transitioning to the UFC Fight Pass platform. The production value of the Titan FC, UFC Fight Pass based shows are nothing short of spectacular. As an MMA journalist there are dozens of promotions to cover each weekend. You pick and choose what you cover because the growth of the sports has magnified exponentially and unless you have reporters all over the country, in each and every city, who can cover each and every event, you just can’t. HOWEVER, when a Titan FC event is on, you find a way to either get yourself to the venue, or plop yourself in front of the television or computer to stream the fights. The entire show from the weigh-ins the day prior to the event itself is nothing short of spectacular. Name one other organization that holds their weigh-ins on a yacht in southern Florida while filming the festivities from overhead via drones? You can’t. There’s nothing like it and for that reason, Titan FC is my number one pick. Titan FC stars – Titan FC is currently sending more fighters to the UFC than any promotion that streams on the UFC Fight Pass platform. One such star is Jose “Shorty” Torres. Mark my words, here on this day, August 23, 2016, Jose “Shorty” Torres will be signed to the UFC within a year. With only three fights to his professional record, and undefeated as both pro and an amateur, he holds the Titan FC flyweight title. Torres could get the call to the UFC today, he is that good, however, business wise it is smart for Titan to let the youngster defend his strap two or three times, and then make the leap. Invicta FC landed a gig with UFC Fight Pass back in June 2014 and is currently the only all female mixed martial arts organization to have an agreement with the service. The commentary team of T.J. De Santis and matchmaker Julie Kedzie bring a wealth of knowledge and experience and do a fantastic job with limited resources. By limited resources I mean this in no disrespect to Invicta, but the production of the broadcast could use some upgrades. They do what they can with what they have, and the fights are fantastic, however although they are considered a feeder system for the UFC’s 115 and 135-pound divisions, it seems the UFC is not throwing any money their way to help with some of the event marketing and production. I personally love watching Invicta FC but I would like to see more butts in seats and larger venue options. Invicta FC stars – The biggest star Invicta FC has to offer is their featherweight champion Cris ‘Cyborg’ Justino who is currently on loan to the UFC. Whether or not Cyborg returns to defend her Invicta strap remains to be seen. The organization’s 135-pound champ Tonya Evinger is an absolute beast and could easily transition to the UFC’s bantamweight division. Other stars, Roxeanne Modaferri, Andrea Lee, Megan Anderson, and Angela Hill are just a few of the others stars in the making. 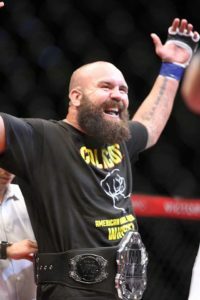 Ryan Stoddard, owner and president of the Omaha-based professional mixed martial arts organization, Victory Fighting Championship inked a distribution deal with UFC Fight Pass late in 2015 and premiered their brand in January 2016. “When I launched my company in 2010, the ultimate goal was to formalize a working relationship with the UFC,” said Stoddard. Victory has provided its thousands of fans with high-quality, competitive, and entertaining fights since 2002. A catalyst for success, Victory has launched the careers of numerous elite fighters such as former UFC lightweight champion Benson Henderson, Spencer Fisher, Josh Neer, Kevin Burns, Jake Ellenberger, Jason Brilz, Anthony Smith, Justin Salas, Tecia Torres, Kamaru Usman, Chris Camozzi, John Halverson, Joe Ellenberger, Mirsad Bektic, Drew Dober, and Travis Browne. Victory has been holding events nearly every month since the move to UFC Fight Pass and most recently held VFC 52, Saturday July 16th Live on UFC Fight Pass inside the Baxter Arena in Omaha, Nebraska. Victory FC stars – The one thing that Victory FC lacks is the ability to have their stars known on a national or international level while still in their organization. Yes, they have had some of the best stars come up through Victory FC but they were not household names while competing within the organization. I personally would like to see heavyweight champion ‘Big Kansas’ Daniel Gallemore get a huge push from the organization and make his way to the UFC octagon early in 2017. Victory certainly has the talent pool for the UFC, but the UFC should lend a hand and help promote the brand. After all, the athletes are competing on a UFC platform. More eyes on the show, more money in their pockets. The Eddie Bravo Invitational is a premier jiu-jitsu organization where the world’s greatest submission experts compete. Founded in 2014 by the legendary Eddie Bravo, EBI features fan-friendly rules which encourage fast-paced and aggressive submission-only grappling. Although it is not full-on mixed martial arts, EBI is quickly rising as one of the best promotions on the UFC Fight Pass platform. It is currently the only all jiu-jitsu based show on Fight Pass, and if more do follow, EBI will certainly lead the path. 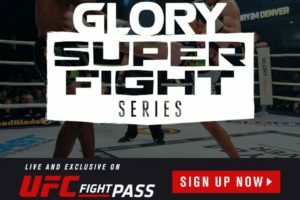 GLORY SuperFight Series was announced to the UFC Fight Pass service simultaneously with EBI. The world’s premier kickboxing league, GLORY World Series maintains six different weight classes. Fights take place both as single matches between two fighters (known as ‘superfights’) and as part of tournaments. GLORY SuperFight Series stars: Chi-Lewis Parry, Zoila Frausto, Anderson Silva, Joe Schilling, and Tiffany van Soest.